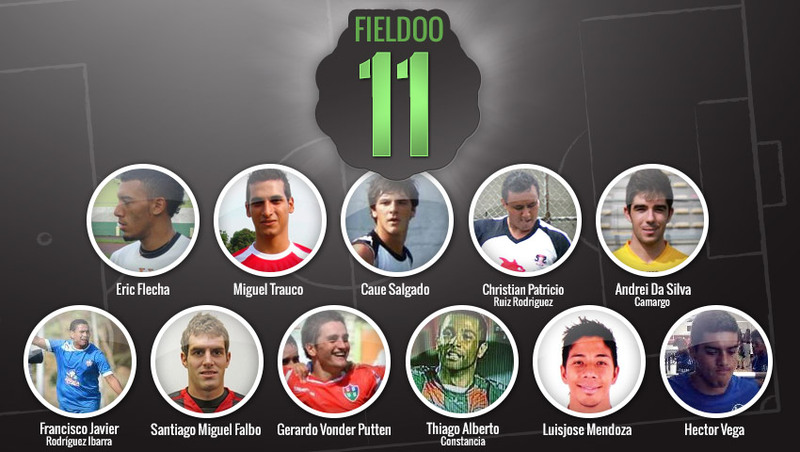 This month in the category Fieldoo 11 we feature eleven Fieldoo Latin America users that stand out from the rest in the countries where football is a true religion and immense raw talent can be found almost around every corner. The first thing that separates Eric from the rest of the goalkeepers is the unusual fact that he can play as a right defender (!) as well. This Puerto Rican 23 year old goalkeeper defended the net of the national team of Puerto Rico, travelled to Mexico and is currently playing in the United States. Only 21 years old the left defender is showing his skills in the first Peruvian league. He has good technique and his long balls find his teammates and put them in good scoring position. After the pass it is up to his teammates to score but Miguel already noted a few assists in his resume. Brazilian players are always respected in Europe. There were numerous defenders among them and maybe Caue will follow in their footsteps. 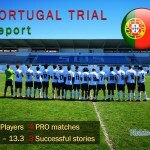 He is currently playing for Portugesa. This central defender from Ecuador has a great left foot and in his presentation video we can see him scoring from numerous great and powerful free kicks. The height of 187 centimetres makes his headers unstoppable. Christian played for the young selections of Ecuador. Right defender from Brasil has been playing in Europe for his entire career. He played in the Czech Republic and made a transfer to Belgian AFC Tubize. We wonder if he will try out the green grass of his home Brazilian football fields. Francisco is a great defensive midfielder that excels at marking and long balls. In the last season he almost had an assist for every other game. He is currently playing in 1st Colombian league. Santiago is a central midfielder that moved from Argentina’s 3rd division to Ireland, where he plays for the 1st division club Bohemian. His greatest strengths are good technique, passing and anticipation. An attacking midfielder from Uruguay that had quite a lot of experience in the world of football transfers. He moved from Uruguay to Serbia, after that went back to South America, where he played in Chile and Paraguay. Europe welcomed him once again when he went to Belgium to play for CS Vise, but this was not the end. He is currently playing in his fourth South America’s country – Peru. Thiago is a left midfielder and a very interesting player that experienced football on three continents. The Brazilian played for Karpaty Lviv in Ukrainian 1st division and moved to Hong Kong in 2012. After his Asian experience he decided to try himself in the Brazilian league as well. A second striker from Guatemala with an EU passport played for the young Guatemalan national teams. From 3rd division youth league he went to play in the 1st and 2nd division clubs in his country. He is fast and has good technique. 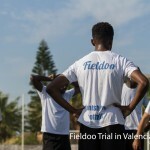 Luis is convinced that Fieldoo can help football players become known in the wide world and not only in their country. His biggest wish is to experience football on another continent. Hector is a 21 year old Chilean striker 188 cm tall, so his heading is very good. He has been playing in Peru for the last two seasons and is currently a free player.